For most of people who have acne on face, they also have acne on the back(check here). 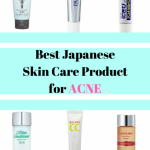 For me, I suffered from acne on back since high school, however, I don’t have acne on the face at that moment. I feel very frustrated whenever summer comes. You know I want to wear the strapless dress but I don’t want to show my back to my friends.I tried lots of ways to treat it, but most of them turn out to be useless. At the end, I decided to find the causes. Finally, most of my acne disappear now! Acne treatment is a complex process. You should pay attention to lots of aspects. But when you know the causes, you will get some ideas. 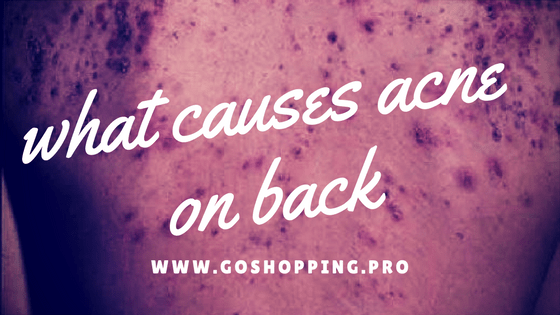 What causes acne on back? In fact, our skin on back is almost the same as the skin on our face. It produces oil to add moisture to skin and hair. However, sometimes it produces too much oil so that skin pores will be blocked. Besides, accumulated dead cells and bacteria are the other two causes as well. When our hair follicle can’t breathe, white head is formed. When white head meets the air, triggered when it will turn to be black head. Inflamtriggered when a situation gets worse. Now we already know the mechanism.However, it will be more practical and helpful if we know the mains causes in our daily life. Below is the answer. When you get acne, you may look around your family at first. A massive study about acne in twins proved that gene explained 81% of the difference in acne prevalence. 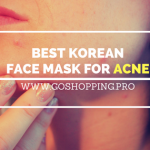 Gene affects the acne by controlling your skin’s sensitiveness towards hormones.But you still can fight with your destiny by using some treatment to reduce the effect of hormones. For example, green tea cream. Fluctuations in hormones will occur acne. Because hormones will effect the oil production of skin. It is the main reason for acne in puberty. From some perspective, acne is the sign of young age, right? It will also affect people in pregnancy and menstruation. Some people said sweating is one of treatment for acne. However, sweat is a main cause for acne on body. A normal skin yeast called Malassezia will overgrow when our body get humid and sweating. Some people can’t bear it so their skin pore will be blocked by this yeast.The best way to avoid it is to wash your body immediately after sweating. In addition, using a slightly rough shower cloth to help removing dead cells. For yeast treatment, a cleanser with zinc will be effective. Please wear breathable and loose fitting clothing such as cotton T-shirt. Tight clothing especially clothing made from unbreathable material will cause bacterial reproduction which will trigger severe inflammation. What’s more, rough material should be avoided too. 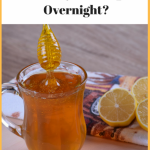 The reason is that rough cloth can cause itching, then you can’t stop scratching your body. The outcome would be the pre-existing acne aggravation even ugly acne scars. Don’t be lazy! Your skin oil and dirt already leave on your sheet and pillow. They will grow bacteria even though you don’t want that. Those bacteria will cause acne on your back when your skin in contact with it. So please wash your bedding at least once a week.Don’t make those bacteria party on your bedding. 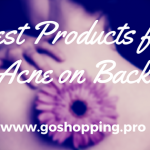 All in all, there are 5 main causes for acne on the back. Maybe your acne will get much better by only changing one of these 5 situations above. For my own recommendation about skincare product for acne on back, I will post in the next few days.See you!